In bid to create more informed citizens, awareness sessions were held with residents of the Jittu Estate, Wailea settlement and Tamavua-i-Wai settlement. 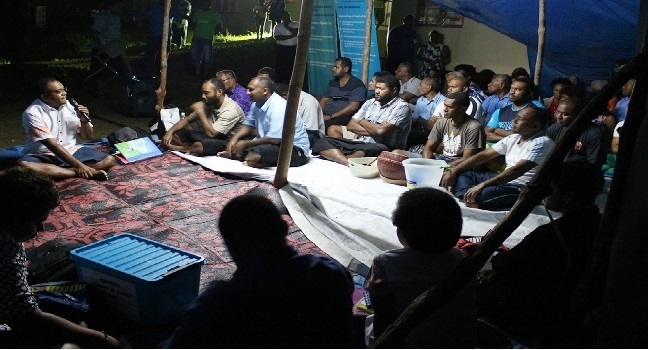 The sessions were provided by the officers from the Ministry of Children, Women and Poverty Alleviation, Legal Aid Commission, Human Rights and Anti-Discrimination Commission and Fiji Police Force. Through the sessions, communities became more aware of their social, economic and legal rights protected in Fiji’s Constitution. Officials conducting the mobile sessions say those living in urban areas face specific challenges when accessing government services. They adds some may not be able to visit the government office during opening hours if they are employed hence they are not aware of the services they are entitled to. A total of 106 women and 98 men participated in the mobile sessions conducted in the three communities.